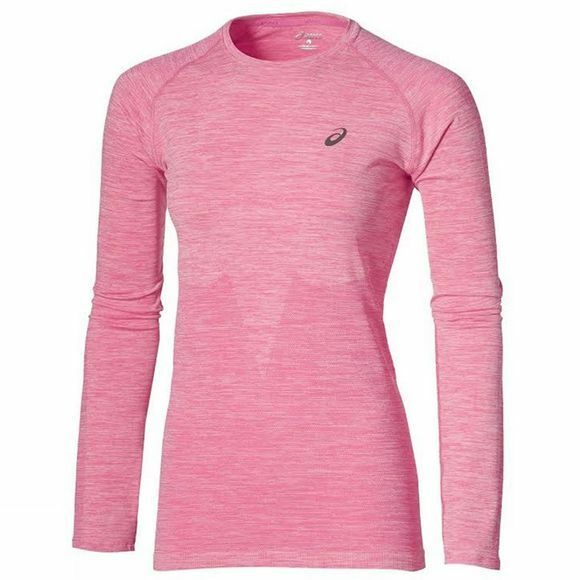 This light, soft-knit Asics Women's Long-sleeved Running Top has no seams, so it won't chafe. It's great for athletes who like to cover long distances. The breathable material wicks away moisture, so you don't become uncomfortable during your workout. The knitted fabric keeps you ventilated and cool. Get total freedom of movement, too, with flexible raglan long sleeves.